Greetings All,It’s been an interesting month so far. New Zealand chose to stay with John, Fiji chose to stay with Frank and Scotland chose to stay with the United Kingdom. Despite the status quo being the current vibe, in this month’s newsletter we talk about a big change coming to the .nz domain space which is worth having a strategy for. 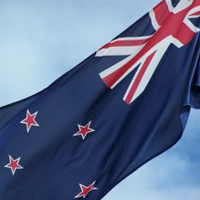 From 1pm on the 30th of September 2014, new .nz domains will become an option that New Zealand website owners can adopt for their domain suffix if they wish. Essentially the process involves dropping the “.co” from “.co.nz” or the “.org” from “.org.nz” – making a shorter, more inclusive style of domain names for New Zealand website owners. In future, you won’t need to register .co.nz or .org.nz – you can just go for a .nz domain. For example, we’ll be able to register “avatar.nz” instead of “avatar.co.nz”. This is designed to bring it in line with international standards, as well as make it fairer for entities that don’t necessarily consider themselves commercial. However, you’ll always be able to make a choice – .org.nz and .co.nz domains will remain available. We highly recommend you register these new .nz domains. We’ll be doing this ourselves to protect our online brand but we’ll likely continue to use our existing domains. We expect most website owners will either just point / redirect the new domains to their existing domains, or will switch over to the new shorter version. Keep in mind that if you’ve spent years building up a domain, you have to plan how you’ll switch domains very carefully so that you don’t lose any search engine optimisation traffic that has built up. Preferential Registration. If you already own a long form domain, you’ll have 6 months from the 30th of September to have priority to obtain the shortened version, which you can hold onto for free for a limited time. This is meant to help protect website owners from having the domain name swiped from them, and having to pay someone in order to get it back. Conflicted Registration. If you hold domain.co.nz and someone else holds domain.org.nz, there may be a conflict if you both want to claim the shortened .nz domain name. From September 30th there’ll be an online tool made available where both participants can make their claim, relinquish ownership, or state why they don’t think anyone should get it. This will then be assessed on a case by case basis and sorted by the Domain Name Commission. Available. If a name hasn’t been registered as a 2nd level (.co.nz, etc) domain, it’ll be freely available on a first come first served basis, so you’ll need to be quick if you want to snap it up. Unavailable. Some 2nd level domains such as .govt.nz won’t be available as a .nz domain. It’s a process that’s bound to have some hiccoughs, as there are many different situations that can arise and cause conflict or difficulty. Overall however, for most people it should be a simple and secure process for existing website owners to protect their brand. 22% Renewable Energy. 22% of the world’s total energy now comes from renewable resources, thanks in part to a major boom over the past year. Wind and solar make up the main portion of this, and last year $250 billion was invested in clean energy. However in coming years it seems governments internationally will be reducing the amount of carbon credit awarded to businesses for making sustainable choices, which may slow down progress. Avatar Blog: Is Your Site Mobile Friendly? There is a growing list of reasons why this should be an important question for any business website owner. Avatar Blog: Get Local SEO. Specifically targeting local traffic and search results is essential if you have a business that relies on foot traffic. Avatar Blog: Amplify Blog Content. Once you’ve put your post live, there’s still so much you can do to ensure your content reaches as many readers as possible. Avatar Blog: Standout Content. Of course, in order to promote your content you need to make sure it’s good in the first place. Not Worth It. Sony explains why they don’t think 2K smartphone screens are worth the battery life they cost. Ask The Government. If you need assistance from the government but aren’t sure where to start looking, there’s a directory of services that can help. 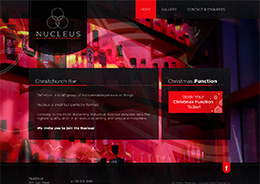 A contemporary bar located in central Christchurch, offering great drinks and atmosphere. 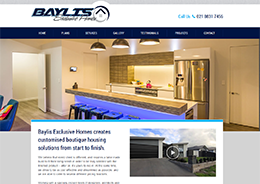 Boutique home building packages based in the Canterbury region. A range of price levels available. 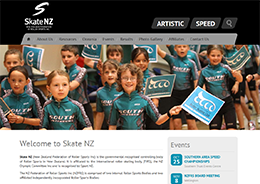 The main governing body of skating sports in New Zealand, organising events and competitions. 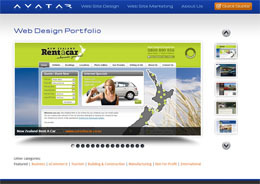 View Avatar’s slideshow portfolio page to peruse a larger selection of websites that we have designed.